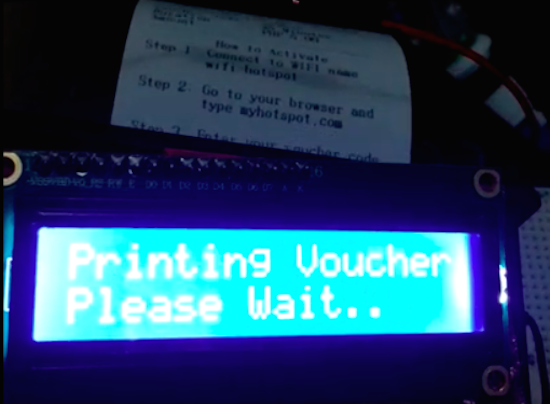 DIY Coin-Operated WIFI Hotspot #ArduinoMonday « Adafruit Industries – Makers, hackers, artists, designers and engineers! Reddit user “jeff122885” has come up with a fairly simple yet clever coin-operated ticketing system for his Wi-Fi network. The setup consists of a Ch-926 multi-coin acceptor, a MikroTik Groove, and an Arduino Uno with a microSD card module. The unique password for the hotspot is stored in the SD card and read by the Arduino.